March 14th, 2011 – Who is the head of delegation? Subject:Re: Who is the head of delegation? Sent from an NRC BlackBerry. 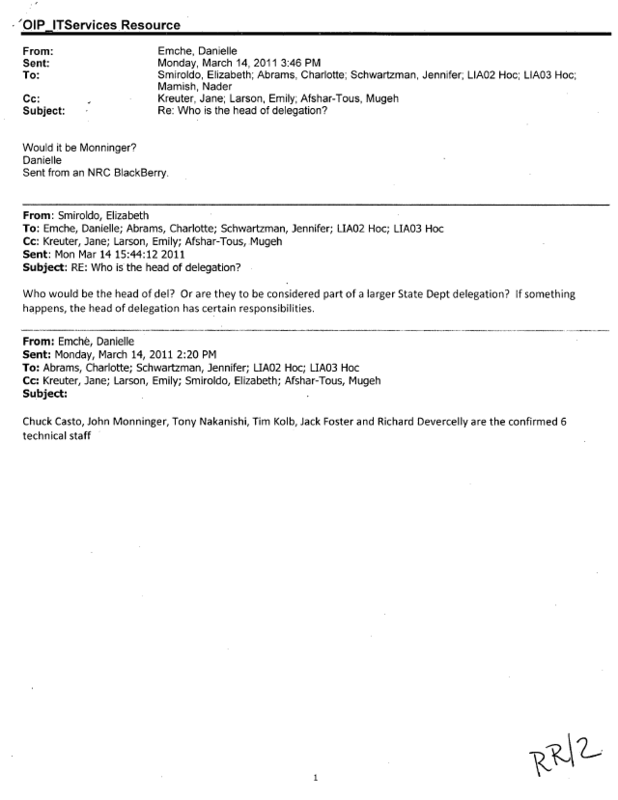 Subject: RE: Who is the head of delegation? Who would be the head of del? Or are they to be considered part of a larger State Dept delegation? If something happens, the head of delegation has certain responsibilities.